We are ideally situated for a good number of places to visit and things to do. If walking, cycling or bird watching is your chosen recreation then the Blackdown Hills is an ideal spot for a short break. You can get information on sites to see, walking guides, events and riding routes from www.blackdownhillsaonb.org.uk. We have leaflets on circular walks in and around Chard, Hemyock, Stockland and the northeastern Blackdown Hills in our visitor information folder. We are very close to Neroche forest where you can walk or cycle the herepaths. There is even an audiovisual digital trail guide to the Staple Fitzpaine herepath that is available to hire. See www.nerochescheme.org for more details. We are within easy reach of National Trust properties such as Barrington Court, Tintinhull Gardens, Montecute House, and Lytes Cary Manor in one direction and into Devon there is Killerton House. See www.Nationaltrust.org.uk for information on events and opening times. 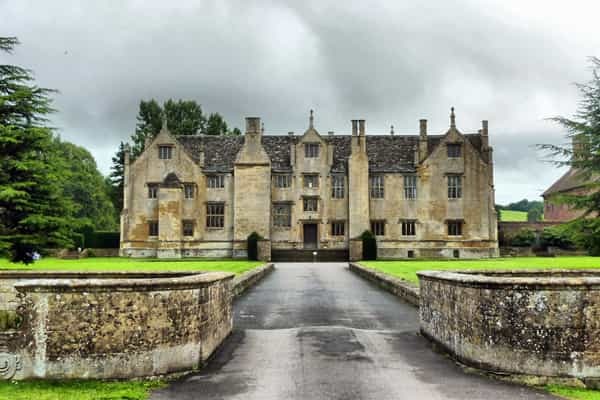 Both Barrington Court and Montecute House were used in the filming of TV's "Wolf Hall". There is an exhibition of costumes worn in the making of Wolf Hall on display at Barrington Court until 1st November 2015. Six and a half miles away lies Chard, the birthplace of powered flight. Visit Chard Museum which features John Stringfellow’s plane that flew in 1848, many examples of agricultural machinery and a collection of James Gillingham 19th century artificial limbs. Every Thursday morning an antique and collectors fair is held in the Guildhall, Chard. Chard Reservoir Local Nature Reserve is situated on the NE of Chard town centre and is the place to see Great Crested Grebes nesting along the margins. Chard is also our nearest shopping centre. Going east along the A303 for 5 miles will bring you into Ilminster, an old market town, famously featured by Hugh Fearnley Whittingstall in his TV programmes. Visit the Ilminster Art Centre at the Meeting House, and have a coffee there, or of an evening visit the Warehouse Theatre, see www.thewarehousetheatre.org.uk for what’s on. Or visit Perry’s Cider Mill, with it’s working cider farm, tearoom and rural museum. See www.perryscider.co.uk for more details. If you are visiting the Magdalene Project at Winsham, with its organic farm and workshops, we are about 20 minutes drive away. See magdalenfarm.org.uk for details of workshops. 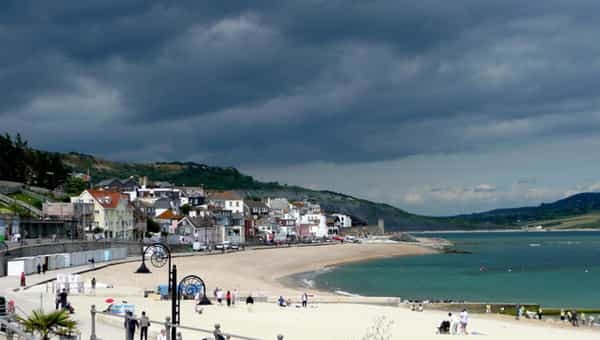 The Jurassic coast at Lyme Regis is part of a world heritage site and within easy driving distance as are Seaton or Sidmouth. Nearer to home is Forde Abbey Gardens, Ferne Animal Sanctuary (with it’s luscious tea rooms) and Otterford Lakes. Other noteworthy gardens to visit nearby are Hestercombe Gardens in Taunton, Cricket St Thomas Lakes and Gardens, Burrow Farm Gardens in East Devon and Cothay Manor Gardens, Greenham near Wellington (which was featured on “Country House Rescue”). Avoiding the main roads take the Corfe road to Taunton Race Course, www.tauntonracecourse.co.uk, for not only racing, but auto jumbles and the Sunday morning car boot. Also in Taunton, which is the historic county town of Somerset is the Somerset County Cricket Ground. See www.somersetcricketclub.co.uk for fixtures list. Every Monday there is an antiques market in Silver Street Taunton, from 9am to 4pm. The Taunton Flower Show is at the beginning of August every year, in Vivary Park; see www.heartofsomerset.com for full event listings. We are also within easy driving distance of Axminster and into Devon, Honiton with it’s myriad of antique shops. Bridport, just a short drive into Dorset was featured in ITV's "Broadchurch" series. Leaflets on all the above, plus other visitor attractions can be found in our visitor information folder, which we place in the guest bedroom, or from Chard or Taunton Tourist Information Centres.